Very fashionable with this silver and black art nouveau drop pendant. 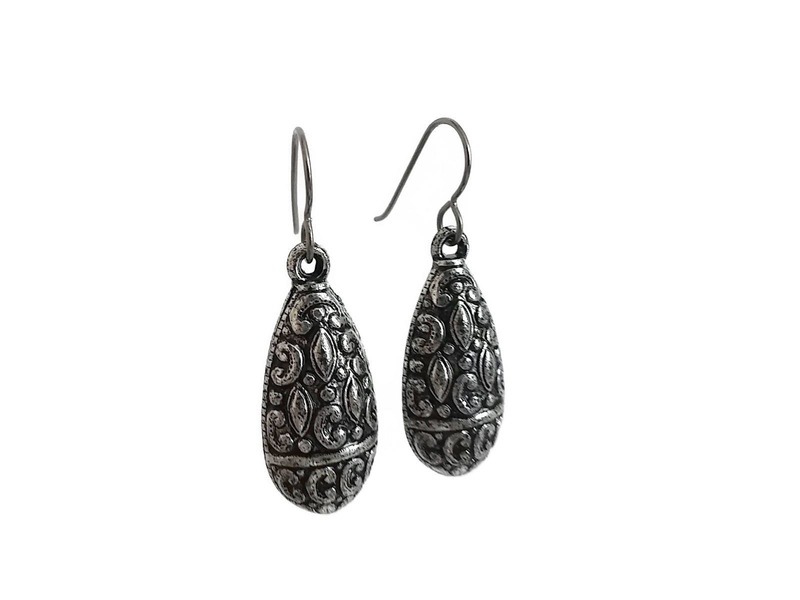 These vintage antiqued silver coated Lucite drop pendant beads are stunning with a raised ornate detailing all over each piece. Acrylic pendants measuring 33 x 14mm.